This category has 1,290 items. Only the first 1000 records are returned. 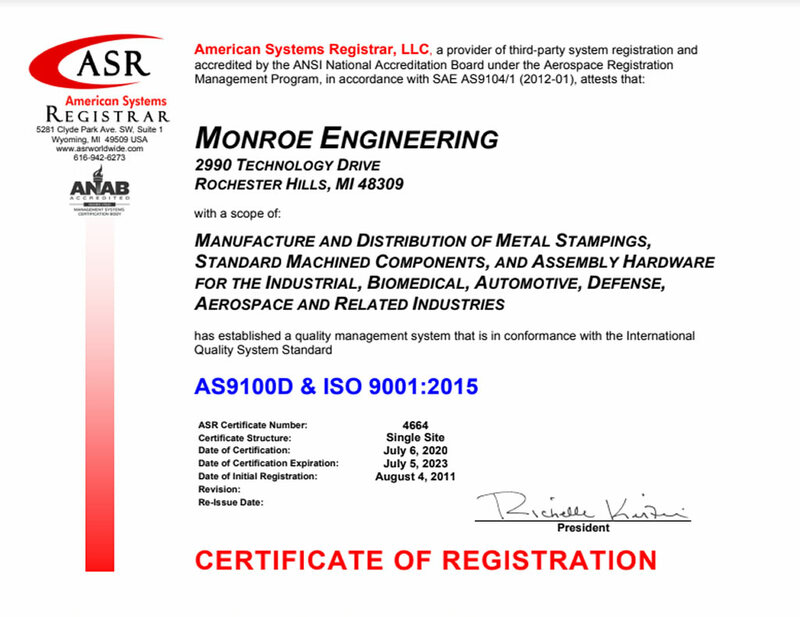 Monroe Engineering is an ISO 9001:2015 & AS9100D certified manufacturer & distributor of standard & custom industrial components including quick release pins. We can supply both standard and special designs for a wide variety of industries including military, automotive, marine and other industries. Types include ring style variable grip quick release pins & ball style or tee handle quick release pins. Other diameters grip length, material etc., available on request.